This Solid boulder opal is set in 18ct yellow gold. The opal has all the colours….hot pink, gold, green and blue glistening from a light base colour. 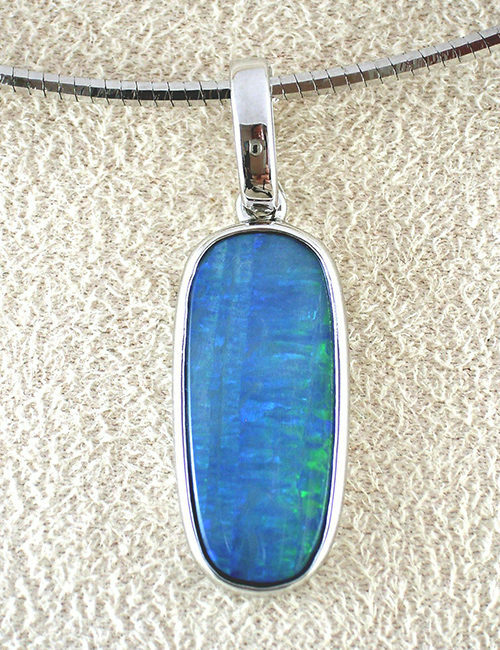 The striking pendant measures 29mm in entire length with the opal alone measuring 20mm x 7mm.